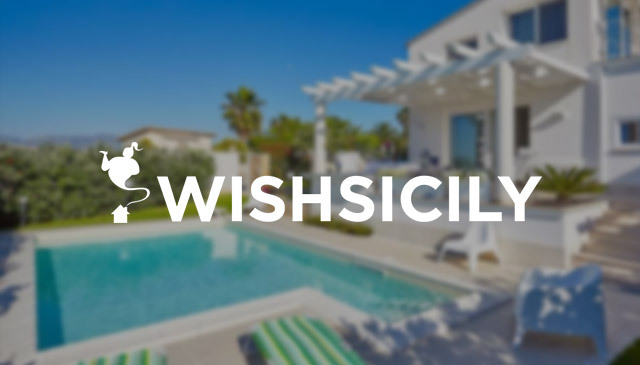 Sicily is crammed full of some wonderfully unspoilt towns and villages, along its spectacular coastline and nestled in the hills and mountains of the island’s dramatic interior. Teetering medieval houses and churches tumble down hillsides and tiny cobbled streets lead up to picturesque squares and terraces with extraordinary views. So tear yourself away from the pool or the beach and find time to visit just a few of Sicily’s most captivating towns and places. 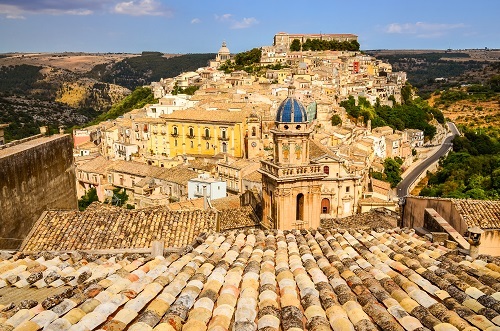 It is not surprising that Ragusa is one of Sicily’s most-visited towns and if you are staying in a villa in south east Sicily (Italy), this is definitely one for the top of the list. Almost entirely destroyed in the 1693 earthquake, the town was rebuilt on two sites, upper and lower. Today it is the lower Ragusa Ibla, situated on a ridge at the bottom of a gorge and comprising a tumbling mass of houses and churches, that is the most astonishing. Highlights include the Basilica di San Giorgio and Hyblean Gardens but our advice is just to wander and soak up the atmosphere. The town is part of the Val di Noto UNESCO Heritage site, alongside the equally splendid neighbouring baroque towns of Noto, Modica and Scicli. 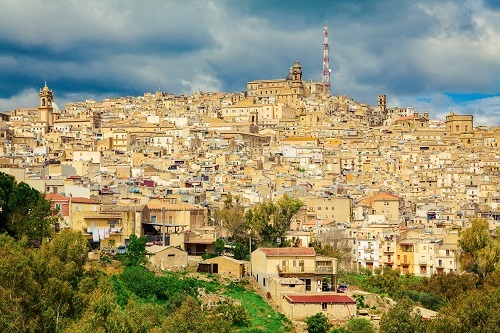 Often overlooked in favour of the baroque towns of Sicily’s south east, yet only 40 minutes from Catania, Caltagirone is a splendid town, best-known for its ceramics, but teeming with palaces and churches. Ceramic tiles adorn most of the buildings in the old town but the top spot is the 142 steps of the Scalinata di Santa Maria del Monte which connects the lower and older upper part of town. Visit at the end of May for the spectacle of the ‘Infiorita’ when the stairs are carpeted in a floral display, or at the end of July when thousands of flickering candles light up the stairs during the ‘Illuminata’. Surrounded by the Nebrodi mountains and with views over the Aeolian Islands in the island’s north east, the historic hilltop San Marco d’Alunzio is a jewel of a town. Dating back to the 5th century BC and, with around 20 churches, ancient castles and temples, the town certainly deserves a day trip if you are planning a holiday on Sicily’s north east coast. It is also well-known for its superb gastronomy and hiking opportunities. 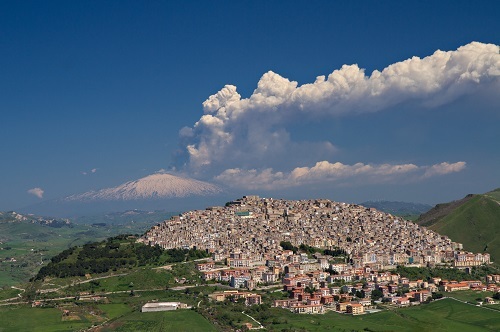 To the east of the Nebrodi mountains, Montalbano Elicona is one of Sicily’s great hidden treasures. Dating back to the 11th century, the village is dominated by an imposing castle which was erected by Frederick II of Swabia. There are also several churches, and, not far from the village, the Argimusco plateau which bears the remains of ancient megalithic stones. 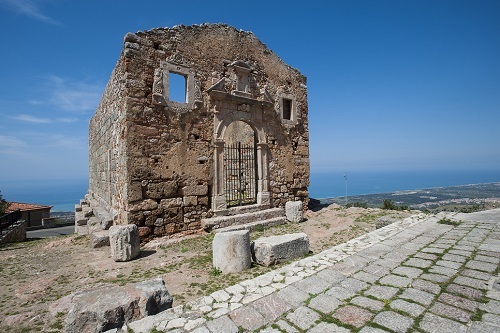 Getting to the Madonie Park is relatively straightforward if you are planning a villa holiday in Cefalù or on the coast around Capo d’Orlando. Picking a favourite from the 15 towns and villages in the Madonie Park is more of a challenge. Isnello, Castelbuono, Geraci Siculo and Polizzi Generosa are all charming but perhaps the most memorable are the twin villages of Petralia Soprana and Petralia Sottana. These enchanting villages are two of the highest and best-preserved towns in the area, with sleepy narrow streets fringed by balconies draped with drying linen, and the perfect setting for some delicious local food. This is one of the best places to visit in sicily!